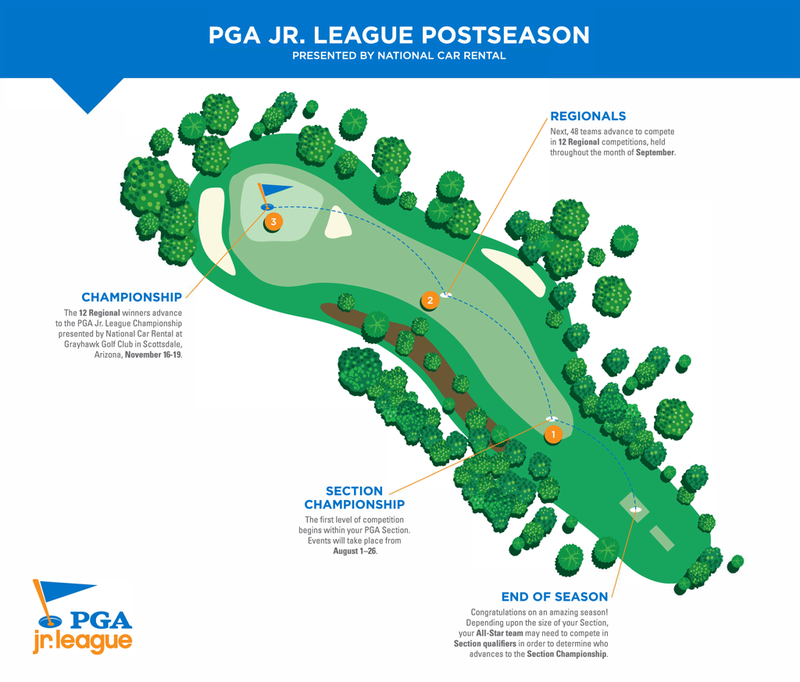 2018 Postseason Update Get ready: the PGA Jr. League Postseason presented by National Car Rental is going to be a #gamechanger! Some exciting changes are coming, beginning with our new Section Championships. Scroll down to learn more and stay tuned for more details to come! 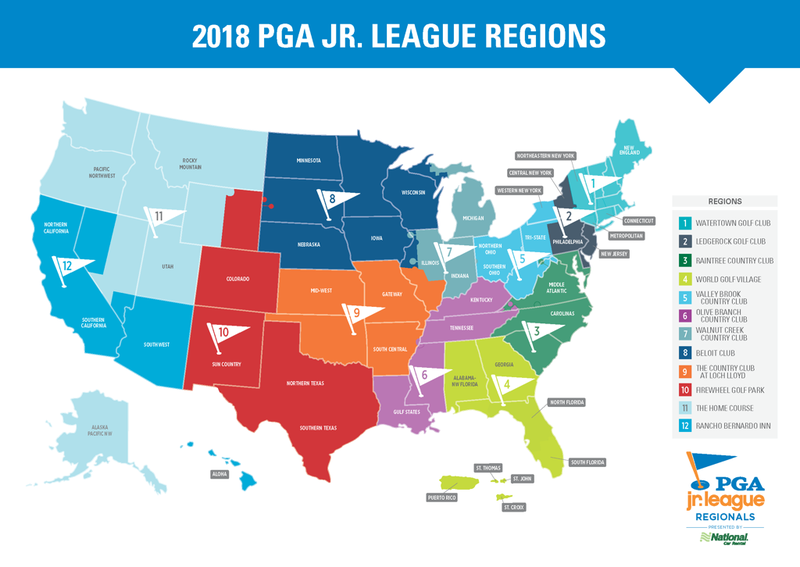 The PGA Jr. League Postseason presented by National Car Rental is comprised of All-Star teams formed from a combination of players in all teams in a local league. The player composition of these All-Star teams is based on the number of teams in the local league and the final league standings. All-Star teams compete in a series of competitions called Section Championships to earn a spot at one of twelve Regionals held across the country. 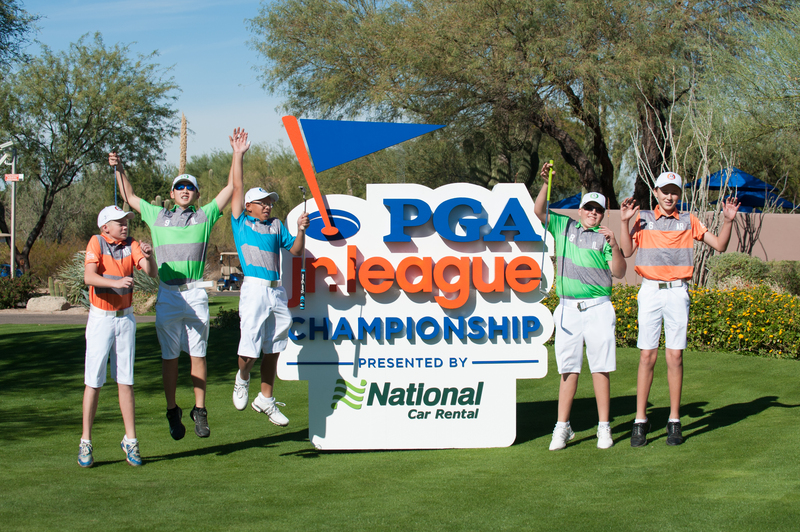 Twelve Regional winners advance to the PGA Jr. League Championship presented by National Car Rental. Each All-Star team is made up of a combination of 10 players from the local league. Each All-Star team must have at least one player from each of the league's teams. The remaining players on the team will be determined by the final league standings. No one team is allowed to have more than five players on a league's All-Star team. The Captain of the regular season league champion will be that league's All-Star Captain. For the detailed All-Star team selection process, please view the Frequently Asked Questions. Note: There are seven sections that will receive at large bids determined on participation from 2017 and a ratio of Players to Captains in 2017. Those sections will advance two teams to the Regional competition. Those sections are: New England, Middle Atlantic, Carolinas, Kentucky, Illinois, Gateway, and Pacific Northwest.